The Rose Festival Market has been a staple during Rose Festival for many years, and the proceeds help support our local State Center Historical Society along with the Rose Festival. This year, our “Main Street Market” is moving to Friday night, June 14th from 5:00 – 9:00 pm, and will be featured in our Historic Depot area of Main Street. Providing maximum foot traffic from the BBQ competition area and Rose Queen coronation traffic, we are excited to shake things up a bit! Our goal is to also widen the variety and encourage anyone with crafts, foods, or any other market products to come spend the evening and sell your goods! Your participation as a vendor is greatly appreciated, and we look forward to hosting you as you showcase your goods! Click here to download our 2019 Main Street Market Vendor Application. Food vendors must have all applicable permits current and on file and be willing to provide a copy to the Rose Festival Board. OR: Entry fees can also be paid online via PayPal. 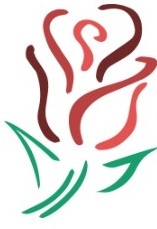 The Rose Festival Main Street Market will be held Friday, June 14, 2019, Main Street between 2nd and 3rd Ave SE near Interstate Insurance Services and Brian’s Collision Clinic. The 10’ wide spaces will be marked in the grass/along the curbs. The time is from 5:00 PM to 9:00 PM. Set-up can begin at 4:00 PM at which time Main Street will be blocked off to traffic. Check-in at The Depot on the corner of 3rd Ave and Main Street for further direction to your site. We reserve the right to stop the sale of any products or services not deemed appropriate at any time. If you would like more information about setting up at our market or have any questions, please complete the form above and we will reply within 2-4 business days.